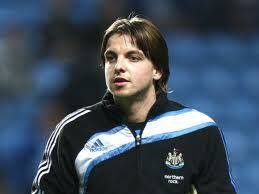 Tim Krul Chelsea rumours | NUFC Blog. Archive for tag: Tim Krul Chelsea rumours. Chelsea Looking to Steal Tim Krul? It’s being reported in The Mail On Sunday today that Chelsea are looking to make an offer for Tim Krul this summer. And they apparently think they can get him for £15M. This story maybe links with the one we’ve run in the last two days over the future of United’s other top keeper Fraser Forster. The Mail offers the opinion that this interest from moneybags Chelsea will “knock Tottenham out of the race for the keeper”. Now far be it from me to suggest this is the London media trying to unsettle our keeper at a time we are entering the final five games of the season and vying for a Champions League spot with – you’ve guessed it! – Chelsea and Tottenham! However, even though it’s only newspaper speculation, should United fans be worried?